Historically an endemic to Bali, populations have been decimated largely due to the incessant capture for trade. 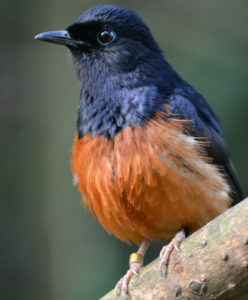 All existing birds in the wild are a result of the reintroduction of captive-bred individuals. 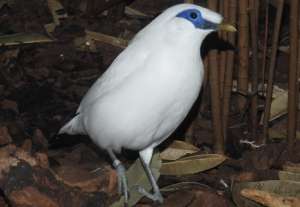 An updated Bali Myna conservation strategy is being developed and recently an international advisory board that will assist in improving in-situ and ex-situ management programmes was established. Anti-poaching units at reintroduction sites are also required. 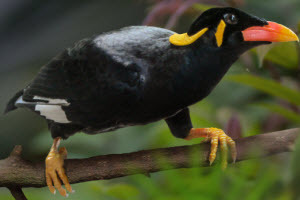 The Nias Hill Myna is the largest of the all starlings and mynas and is an endemic resident of several islands off the west coast of Sumatra. Trapping pressures for the songbird trade have let to its massive decline. Surveys have determined that the species survives on only a few last remaining islands where ongoing conservation efforts are needed to prevent its extinction. There is an urgent need to build-up an ex-situ population and start a scientifically run conservation breeding program. There is still an aging population of cage birds especially within parts of its original distribution areas. 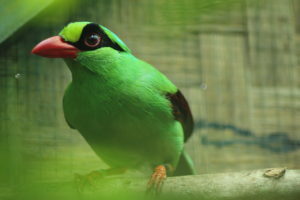 This Javan endemic with special habitat requirements was recently recognized as a separate species from the more common Bornean Green Magpie (Cissa jefferyi). It is therefore not currently protected under Indonesian law. It is now thought to be close to extinction in the wild due to habitat loss and excessive trapping, with no confirmed records in the wild since 2007. Small numbers of birds were found for sale and in the markets. Field surveys are required to ascertain the presence of any remnant wild populations and to facilitate their protection. 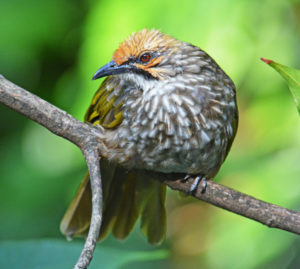 Additional birds to supplement existing captive breeding programmes could be acquired through confiscated birds from trade if the species are given legal protected status. Endemic to Sumatra, this species is an easy target for trappers due to its noisy, flocking nature and increased accessibility to their montane forest habitat due to deforestation. As a result, it has disappeared from much of its range. Field surveys are required to ascertain the presence of wild populations. Legal protection of this species is urgently required in Indonesia. Existing captive breeding programmes require expansion. Its IUCN status has only recently been up-listed to endangered. Confined to the Greater Sunda region, the species has undergone massive decline across its range in response to trapping for trade. It is thought to be extinct in Thailand and locally extirpated in Indonesia (Java and Sumatra). Field surveys are needed in Malaysia, Kalimantan, Myanmar and Brunei to establish the status of wild populations. Due to high demand, continued monitoring of trade in this species is needed across its range, and as some are claimed to be of captive-bred origin it is necessary to determine the extent of commercial captive breeding across its range, and how this is being regulated. Improved protection is required through in-situ site protection and CITES. Captive breeding programmes should be initiated as the species continues to decline. Anecdotal evidence from breeders suggests that populations in Borneo may be distinct from those in the rest of its range and genetic studies are required to clarify this. 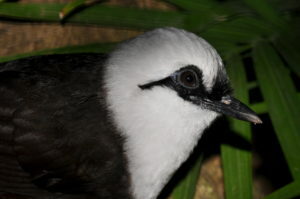 Widespread throughout South and Southeast Asia, the species has at least 14 subspecies. Some are distinct peripheral forms characterized by a narrow geographic distribution which are seriously threatened with extinction (C. m. stricklandii, C. m. barbouri, C. m. melanurus, C. m. hypolizus, C. m. opisthochrus, C. m. mirabilis, C. m. nigricauda, C. m. omissus, C. m. suavis). Urgent field survey work is needed to establish the existing wild population status of these subspecies across Sumatra, Java and surrounding islands, accompanied by genetic studies building on existing work to include all Indonesian forms that are under immediate trapping pressure. The establishment of captive breeding programmes for some of these forms may be necessary, especially within Indonesia. Market surveys should also attempt to distinguish between the different forms. In this species anecdotal reports from breeders suggest that the rare subspecies are targeted and that they are purposely interbreed to attain certain characteristics for songbird contests. Improved husbandry guidelines based on the EAZA zoo population may aide in establishing functioning breeding programs in the region.